A number of PGA tournaments are coming to Victorian RACV Resorts thanks to an expanded partnership between RACV and PGA of Australia. This new partnership complements the existing Australian PGA Championship event held at RACV’s Royal Pines Resort in Queensland. 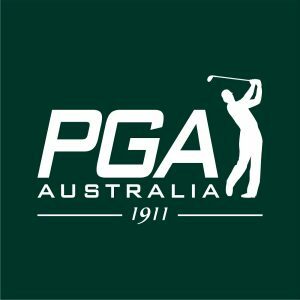 Victorians will greatly benefit from the expanded partnership with premier golf events now being held in their home state. “RACV members will now be able to experience premier golf opportunities in their home state as well as enjoy exclusive RACV Golf member benefits,” said Neil Taylor, RACV Managing Director and CEO. The Victorian PGA Championship, part of the ISPS HANDA PGA Tour of Australasia, will move to the newly expanded RACV Cape Schanck Resort in October 2018 and new Ladbrokes Pro-Am Series events will be held at the RACV Healesville Country Club and RACV Torquay Resort. RACV Goldfields Resort will also host a brand new two-day pro-am in the same format as the ISPS HANDA World Super 6 Perth. Healesville and Goldfields will also host two new Ladbrokes Legends Tour events. “RACV Royal Pines Resort on the Gold Coast has been a fantastic host of the Australian PGA Championship and we look forward to extending our events to RACV’s Victorian Resorts,” said Gavin Kirkman, CEO of the PGA of Australia which oversees the ISPS HANDA PGA Tour of Australasia.